Home Spy Apps My Mobile Watchdog Review: Is It Good For Android/iPhone Monitoring? My Mobile Watchdog Review: Is It Good For Android/iPhone Monitoring? What Is My Mobile Watchdog App? How Does My Mobile Watchdog Work? What Features Does My Mobile Watchdog Have? How Do I Install My Mobile Watchdog? Is It Legal To Use My Mobile Watchdog? In the world where one can get access to any information, it is important for parents to supervise their kids’ internet use. The Internet is indeed a huge source of data. But not everything children search for online is safe for them. That’s why more and more parents start tracking their kids mobile activities. My Mobile Watchdog creates tools for comfortable kid’s device monitoring. Discover what can it offer you and whether the software really works. My Mobile Watchdog is the monitoring application. 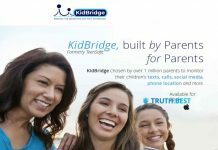 It allows parents to read their kids’ messages, view calls, and contacts list, supervise the application use and track location. The app is compatible with all Android and iOS devices. My Mobile Watchdog collects the data hiddenly from the user of the smartphone. The child can’t find out that someone monitors their mobile activities. The developers claim that the software is 100% undetectable. Is it true? And how does the app work? Discover answers for these and other questions in this My Mobile Watchdog review. As any other parental control software, My Mobile Watchdog requires the installation of the app on the target device. The target device is the mobile phone or tablet your child uses. Once the installation is complete, the My Mobile Watchdog app will start collecting data on the smartphone of your child. Then all the information will be transferred to your dashboard. The application isn’t detectable on the device. But once it is installed, the message “This phone is protected by My Mobile Watchdog” will be displayed. My Mobile Watchdog works slightly differently on iPhones. It copies the data from iCloud and only then transfers it your dashboard. Thus, to ensure the smooth activity monitoring, you have to enable iCloud backup on the target device and make sure it is connected to Wi-Fi. You can see the activity in your dashboard shortly after the backup. My Mobile Watchdog offers a different set of features for Android and iOS devices. Keep reading to find out what activities can you track with My Mobile Watchdog for iPhone and Android monitoring. We have already told you how the My Mobile Watchdog app works. The activities the app can monitor depend on the OS you use it on. It’s important to pay attention to the features available for each of the operating systems. Look through the list to make sure My Mobile Watchdog has everything you need for complete device monitoring. To install the My Mobile Watchdog app on the Android of your kid, you should turn off Google Play protect firstly. Then you need to enable installation from unknown sources from the Settings of the device. After that, log in to your parent platform at the official website of My Mobile Watchdog. Fill in the fields required and send the link to your kid’s device from the dashboard. Then follow the link from child’s smartphone and download the app. Open File Manager on the Android’s phone. Find the file and open it. The setup guidelines will appear soon after the installation. Answer the questions and complete the setup. After the installation and setup are done, the app will start copying the data to your dashboard. The synchronization takes up to 1 hour. At first sight, My Mobile Watchdog seems like a useful application for Android or iPhone monitoring. Although, the app doesn’t cover wide set of features. For example, you can’t monitor third-party applications (like Snapchat) on the device of your child. But, sometimes these messengers pose the greatest dangers for the online safety of the child. The interesting thing about My Mobile Watchdog is their KidSafe campaign launched in 2015. The campaign aims to educate both parents and kids about safe online behavior. They claim they sponsored off-duty police officers to organize seminars on online safety for parents. The parents also receive 6-months My Mobile Watchdog use for free. There is no information on whether My Mobile Watchdog continues with their campaign. But their intentions show they care about the cybersecurity of the young generation. At last, let’s examine some pros and cons of the app to decide whether it’s the right choice for you. My Mobile Watchdog app can be a good choice if you are new to parental control tools. If the limited set of features isn’t a problem for you, you can give My Mobile Watchdog a try.